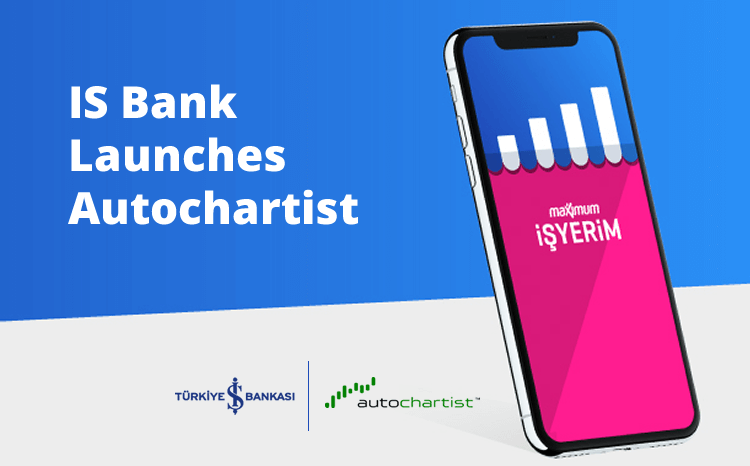 One of Turkey’s largest domestic banks, IS Bank has launched the Autochartist market analysis service within its mobile application, making them the first Turkish financial institution to service Autochartist customers directly on Mobile. Autochartist, an award-winning provider of financial market analysis has been integrated into the IS Bank’s mobile application to make the trading process even simpler and more convenient for busy clients. Autochartist’s proprietary technology scans massive amounts of financial market data around the clock and alerts traders to interesting and potentially lucrative trading opportunities. Click here to read more about how to access Autochartist through IS Bank. Is Bank was the first bank founded by the Turkish Republic and is Turkey’s largest bank. Is Bank offers institutional, corporate, and private clients a wide range of products and services to facilitate their investment focus. To be the most preferred bank in Turkey for the customers, shareholders and employees, by maintaining our position as the leading, pioneering and most trustworthy bank. Autochartist is a financial market analytics company that leverages big data and proprietary technology to help stock futures and currency traders make more informed trading in investment decision. Since its inception in 2004, Autochartist has grown to become a global leader in automated financial content generation and trade execution analytics for many leading Stock, Currency, Futures and CFD brokerage firms across the globe. We service millions of traders in over 100 countries worldwide through our vast broker partnerships and pride ourselves on our core commitment to service excellence and ongoing market leadership through developing innovative new products and services.